Washington. Democrat Nancy Pelosi was elected on Thursday to be the new speaker of the US House of Representatives as her party took majority control of the chamber following its election victory last Nov. 6. This marks Pelosi's second stint as speaker. She was the first woman ever to hold the job, serving from 2007 until 2011, when Republicans began an eight-year run in the House majority. Pelosi received 220 votes for speaker, while Republican Representative Kevin McCarthy got 192 votes. A smattering of others received the remaining votes in the chamber that holds 435 seats. The election puts Pelosi in position to lead the opposition to President Donald Trump's agenda and to conduct in-depth investigations of his administration following two years during which Republicans have mainly given him a free pass. 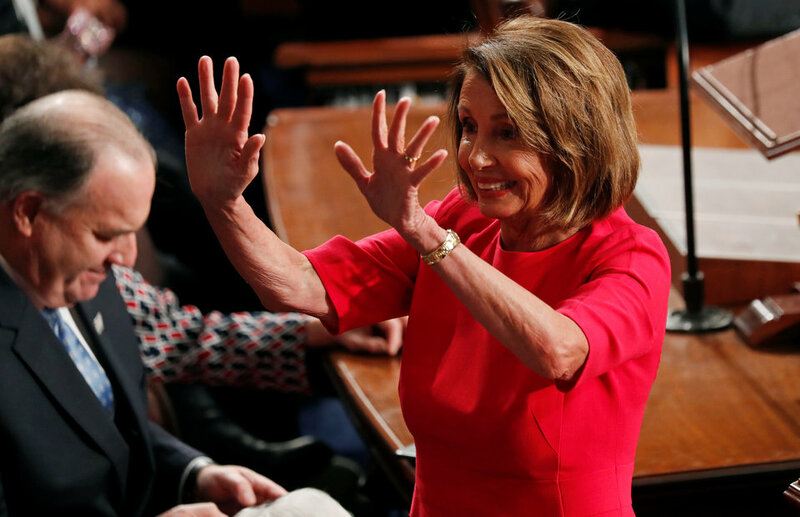 Pelosi, 78, was first elected to the House in 1987 and has pledged to push legislation that would spark large federal investments in infrastructure projects that Trump also has expressed an interest in tackling. But Pelosi's Democrats and Trump's Republicans have taken vastly different approaches to rebuilding the nation's bridges, roadways, airports and other public works projects that also would spark job creation. During last year's congressional campaigns Pelosi also talked about the need to improve Congress's ethics rules and to pass legislation to lessen the influence of large corporate donations in congressional elections. Pelosi, a liberal who represents San Francisco, will lead a House with 235 Democrats, 199 Republicans and one seat in North Carolina still being contested. Besides her legislative agenda, Pelosi has made clear that the House's Democratic-run committees will conduct in-depth oversight of Trump administration officials and likely would attempt to get the president's recent tax returns as part of House investigations into his business dealings. Some of Pelosi's Democrats already have hinted that these oversight investigations could lead to impeachment proceedings against Trump, depending on the findings of committee hearings and special counsel Robert Mueller's separate findings from his investigation into the 2016 presidential election and Russian interference. As House speaker, Pelosi will set the legislative agenda for the House, is a leading figure in Democratic Party politics and is second in line for the presidency after Vice President Mike Pence if Trump were to become incapacitated. Republicans maintain control of the Senate by a margin of 53-47 for the next two years.